On 2-29-16, the FDA held a press call with the media. They released a recording of that call. Below you can find the transcript of that call. In (red), you will find my comments. To listen to the recording: callers inside the United States and Canada should dial 800-933-2942. All others should call 203-369-3389. OPERATOR: Welcome and thank you for standing by. At this time all participants are in a listen only mode until the question and answer session of today’s conference. At that time you may press star followed by the number one to ask a question. I would like to inform all parties that today’s conference is being recorded. If you have any objection you may disconnect at this time. I would now like to turn the conference over to Ms. Jennifer Rodriguez. Thank you, you may begin. MS. RODRIGUEZ: Good afternoon and thank you for participating in today’s call. My name is Jennifer Rodriguez, and I am with the FDA’s office of media affairs. This is a media briefing to announce important steps by the FDA related to Essure. With us today we have Dr. William Maisel deputy director for science and chief scientist at FDA’s center for devices and radiological health. After Dr. Maisel’s remarks, we will move to the question and answer portion of this call. Reporters will be in a listen only mode until we open the call for questions. When asking a question, please state your name and affiliation. Also please limit yourself to one question and one follow up question so we can get to as many people as possible. I now turn the call over to Dr. Maisel. DR. MAISEL: Thanks Jennifer and good afternoon. Thank you for making the time to be with us today. Today the FDA is providing an update on the safety and effectiveness of the Essure system for permanent birth control. In addition we are announcing several important steps the agency is taking to ensure both the availability and the disclosure of important risk information about the use of Essure to women and their doctors, to make sure women are informed about potential complications associated with the use of these implantable forms of sterilization. Over the past few years the FDA has reviewed a significant amount of data related to the use of Essure. In addition to thorough reviews of existing scientific literature, we have carefully evaluated adverse event reports, we have re-examined data including the data from the original clinical trials supporting Essure approval, and we have discussed the available evidence with scientific experts and the public in a panel meeting this past September. Patient input has been a big piece of the picture so before I speak about the specific action the FDA has taken today, I’d like to thank the many women, family members, and other members of the public who have taken the time to share their views and in many cases their very personal medical histories with us, not only at our September advisory committee meeting, but through their submission of adverse event reports and submission of information to our public docket. We very much value their input and insight. These interactions continue to greatly enhance and inform our understanding of Essure’s benefits and risks. While the FDA believes Essure remains an appropriate option for the majority of women seeking a permanent form of birth control, serious and sometimes debilitating complications occur in some women implanted with the device. (To date, more than 25,000 women) These complications may include allergic reaction, transient or persistent pain, abnormal uterine bleeding, and other systemic symptoms that can adversely impact a woman’s quality of life. Some women with Essure have experienced device movement, fragmentation, and even perforation of the fallopian tubes or uterus by the device. In some cases these complications have led to surgery to remove the device in an effort to reverse or relieve symptoms. (Although the FDA implies that these severe reactions only occur to “some” women, the reality is that thousands of women have already undergone serious hysterectomy surgeries to remove the device. There have been over 1000 surgeries since the September 24th FDA hearing and there are nearly 300 removal surgeries per month that we are aware of. The FDA believes that women considering this implantable form of sterilization and their families and healthcare providers need to be informed about the potential risks associated with this device. For this reason we intend to require the addition of a boxed warning and a patient decision checklist to the product labeling. These steps will make sure that women are fully aware of the risks and possible complications associated with Essure. ( Unfortunately, Women will never see the boxed warning, as they do not get to see the packaging and the FDA has no way to require or enforce physicians to share and explain the black box warning with women contemplating the procedure.) It’s critical that the benefits and risks of the device are discussed with women in advanced so that they may select a birth control method that is best for them. Today the FDA is issuing draft guidance that applies to all manufacturers of tubal implants (There ARE no other tubal implants on the market, Conceptus/Bayer sued the maker of Adiana for patent infringement, won, got the rights to Adiana, and TOOK IT OFF THE MARKET!) intended for sterilization like Essure containing proposed language for a boxed warning and patient decision checklist. (Are you preparing for the next sterilization device FDA? After Essure gets ripped from the market?) This will provide the public with an opportunity to comment on the specific language proposed by the agency to be included in these required warnings. The mandatory boxed warning that FDA intends to require outlines adverse events occurring in women with Essure including perforation of the uterus and/or fallopian tubes, device migration, persistent pain, and allergy or hypersensitivity reaction. ( These warnings already exist, how is this new information?) The patient decision checklist highlights key risk and benefit information, and is intended to be reviewed and signed by the patient and physician prior to making a decision to undergo the permanent implant procedure. (That checklist needs to be completed PRIOR to sedation or medicating the patient, and preferably not on surgery day. Furthermore, the mandatory checklist needs to be approved by the FDA and not subject to editing by any physician. Yes, I did say SURGERY day. Why was there no mention of the false advertising yet?) In addition to taking steps to ensure women are adequately informed of the risks associated with Essure before choosing to have the implant, as part of our actions today the FDA has ordered Bayer to conduct a new clinical study (You’ve got to be [email protected]#cking kidding, right? A NEW clinical study? By BAYER??) designed to provide important information about the benefits and risks of the device in a real world environment. (Can someone please slap me now, this is a horrible joke, right? REAL WORLD ENVIRONMENT?? Uhmmmm, Bill, I have 25,000 real world women for you to take a look at over here) In total the company will be required to enroll more than 2000 patients and to collect data not only on patients receiving the Essure implants, but also on patients choosing an alternative method of sterilization, bilateral tubal ligation. ( So, how many women are going to be implanted with Essure, which model of Essure, and what will the confirmation test be? HSG, TVU?) This will allow for a comparison between the two methods. (Wait, didn't the BMJ just do this study, am I missing something here?) The study will help fill gaps in our knowledge (gaps in your knowledge is an understatement) about device associated complications, outcomes associated with surgical removal of the device, and patient quality of life. Because the agency is requiring Bayer to study such a large number of patients and to follow them for a minimum of 3 years, the study will take several years to complete. (And in the meantime, the FDA doesn't care how many other women are harmed while we wait for some more data) However, FDA anticipates that interval study results will be made public to ensure that patients and providers have the most up to date information. In summary I’d like to emphasize a couple of points. First, women considering this implantable form of sterilization need to be informed of the potential risks and the agency intends to require a boxed warning and patient decision checklist. We are issuing draft guidance to provide the public with an opportunity to comment on the proposed language to be included in these required warnings. Second, FDA has reviewed a significant amount of information related to the use of Essure. We are ordering Bayer to conduct a clinical study involving more than 2000 patients to assess the real world performance of the device and address important gaps in our knowledge. (Are you repeating yourself for a reason? Does it sound better the more you say it?) While there are serious complications occur in some women implanted with the device, we believe Essure should remain an available option for women seeking permanent birth control who are adequately informed of the risks. Today’s actions are the next step, but not the final step in the agency’s ongoing evaluation of Essure. It remains a high priority for us and we will continue to update the public as new information comes available. With that I will turn the call back over to Jennifer and I look forward to answering your questions on the FDA’s actions today. MS. RODRIGUEZ: Thank you Dr. Maisel. At this time we will begin the question and answer portion of the briefing. When asking a question please remember to state your name and affiliation. Also please limit yourself to one question and one follow up so we can get to as many questions as possible. Operator, we are ready for the first question please. OPERATOR: Thank you and as a reminder you can press star followed by the number one on your phone and state your name clearly to ask a question. One moment please for the first question. The first question comes from Robert Lovis with Medscape Medical News. Your line is open. MR. LOVIS: Yes, thanks for taking my call. Can you describe the tests that you’re requiring of Bayer in a little more detail? I take it it’s not going to be a randomized or double blinded trial or maybe I’m wrong. ( Oh no, you are correct sir) Can you talk about it a little bit? DR. MAISEL: Yes, thank you so the question was what for the postmarket surveillance required study what are we requiring Bayer to do. Under section 522 of the Food Drug and Cosmetic Act the FDA has the authority to require postmarket surveillance, and so we are requiring Bayer to conduct a large study that enrolls both patients receiving the Essure device and patients receiving a bilateral tubal ligation. It will not be a randomized study but will be an observational study of these women undergoing these procedures. The specific questions that we are looking to address and that Bayer will be required to address relates to the overall complication rate, the specific complication rates as it relates to perforation, migration, device expulsion, looking at the rates of allergy and hypersensitivity, abnormal uterine bleeding, chronic pelvic pain, the types of adverse events that have been observed. This type of information will help women and the agency understand how the rates of these complications and adverse events in an Essure population compare to an alternative therapy. We also will be requiring Bayer to study the removal of the device because we are aware that some women are choosing to have the device removed (CHOOSING to have the devices removed? Seriously? Like we have a choice Bill. How dare you) and so additional information will be collected on that. MS. RODRIGUEZ: Thank you we’ll take the next question please. OPERATOR: The next question comes from Danny Elfarouke with Grey Sheet. Your line is open. MR. ELFAROUKE: Thank you very much for taking my question. 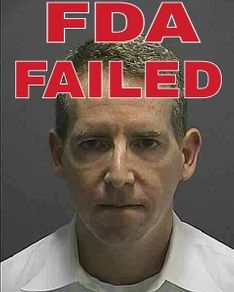 Today Representative Fitzpatrick said that essentially all the women who have reported adverse events is the postmarket trial that you have asked for and he also said that he plans to go ahead and try to get his “E-Free Act” passed that would circumvent the FDA’s authority. I was wondering what are your thoughts on the fact that he says there is enough data to show how the implant works and his plans to circumvent FDA’s authority here. MR. ELFAROUKE: And a follow up question Representative Rosa DeLauro has also called for withdrawal of the device. Her concern is that the FDA has not upheld when it asks for postmarket studies according to a GAO report a lot of those studies have not been followed up as per FDA’s request and she is concerned that FDA doesn’t have the enforcement authority to take action if a company don’t do that. What are your thoughts on that in this case if Bayer does not fulfill its study request within the three years you asked it to? What actions will you be able to take at that point? DR. MAISEL: We expect Bayer to submit a study protocol to us within 30 days. By law they must begin their clinical trial within 15 months. (Well that seems like a reasonable amount of time to have to wait SMH) Failure to do so could result in the agency taking action such as issuing a warning letter and declaring their device as misbranded. We have taken those actions in the past and will do so in the future if Bayer does not meet its requirement. OPERATOR: Thank you the next question comes from Dan Trials with ABC News. Your line is open. OPERATOR: The next question comes from Matt Perone with the Associated Press. Your line is open. MR. PERONE: Hi Dr. Maisel. When does the FDA expect to get those interim results from Bayer that you mentioned since as you said these studies do take several years? DR. MAISEL: As I said we have already reached out to the company to inform them of the postmarketing surveillance requirement and we expect to receive the study protocol within 30 days. By law they must begin their trial within 15 months. We would expect to have data interval reports coming in to us within the first several months of the trial beginning. MR. PERONE: OK great, and it’s been over a half year since the FDA held their panel on this. As you said you have access to over 100,000 data points from the company and all the adverse reporting events. Why then go through this draft guidance process just to put the black box on this. Why drag this out for another, as you know, in determent period of months just to put this label on the product? OPERATOR: Thank you, and as a reminder you can press star one on your phone and record your name if you have a question. The next question comes from Sue Darcy with the Grey Sheet. Your line is open. MS. DARCY: OK and my follow up question was in the docket there were several doctors who complained about unfair sales practices with Essure and this was both when it was owned by Conceptus and also by Bayer. For example, the companies would give multiple packs of these Essure devices to doctors for a discount and it was sort of an incentive to give as many women the Essure device as possible. Has the legal side of FDA looked into these type of complaints? DR. MAISEL: As we have publicly stated before, we have an ongoing investigation. I can’t comment in more detail about the specifics of that. (And we can't WAIT to see what is found, tick tick tick) What we are presenting today regarding that investigation is the detailed case report form analysis that has been posted to our website. OPERATOR: Thank you the next question comes from Andrew Sittens with CQ. Your line is open. MR. SITTENS: Hi this is Andrew from CQ. Thank you for doing this. Is there anything in a patient’s profile that would put them more at risk for problems or are there any specific demographic groups or subgroups that you would advise as more a risk of adverse or advise against getting the device implanted? DR. MAISEL: This was one of the issues that FDA posed to the advisory committee. We are aware of patients with nickel or metal allergies and there is a warning on the device label (Yes, a warning, because the FDA allowed the manufacturer to remove the nickel contraindication in 2011 so they could compete with Adiana) about that issue for these patients and that is one of the reasons why we believe postmarket data collection would be useful because it could help identify patients who are at a higher or lower risk of adverse events. MR. SITTENS: And how often do you mandate new clinical studies in a postmarket setting? Is this a relatively rare occurrence or is this something that happens maybe more often than we think it does? DR. MAISEL: The agency mandates postmarket surveillance whenever it is necessary to address device issues. Typically we will issue several studies like this per year. OPERATOR: The next question comes from Sindu Fugar with Law 360. Your line is open. MS. FUGAR: Hi my name is Sindu from Law 360, thank you very much for taking my question. You mentioned that the FDA has reviewed irregularities in certain clinical trial records and it has found from its analysis that there is not systematic or intentional modification of data. I would like to get a clarification on what that means. Did you find that some data was modified but that it did not rise to the level of indicating a pattern? How did you make that determination? MS. RODRIGUEZ: Thank you, at this time we have time for one last question. Operator, may we have the last question please? OPERATOR: The last question comes from Sabria Rice with Modern Healthcare Magazine. Your line is open. MS. RICE: Thank you so much for taking my question. Good afternoon. I wanted to ask about the draft language for the black box and what is currently recommended for that black box. But also a black box on a product like this that women don’t purchase and take home it would be their clinicians who would have access to that black box not necessarily the women themselves. DR MAISEL: So the language in the black box includes information regarding some of the adverse events so it states that, “Some patients implanted with Essure system for permanent birth control have reported adverse events including perforation of the uterus and/or fallopian tubes, intra abdominal or pelvic device migration, persistent pain, and allergy or hypersensitivity reaction. Some of these reported events resulted in device removal that required abdominal surgery. This information should be shared with patients considering sterilization with the Essure device during discussion of the benefits and risks of the device.” And so to your point about who would see the boxed warning, the company is required to present that boxed warning in their patient materials and in their materials on their website. 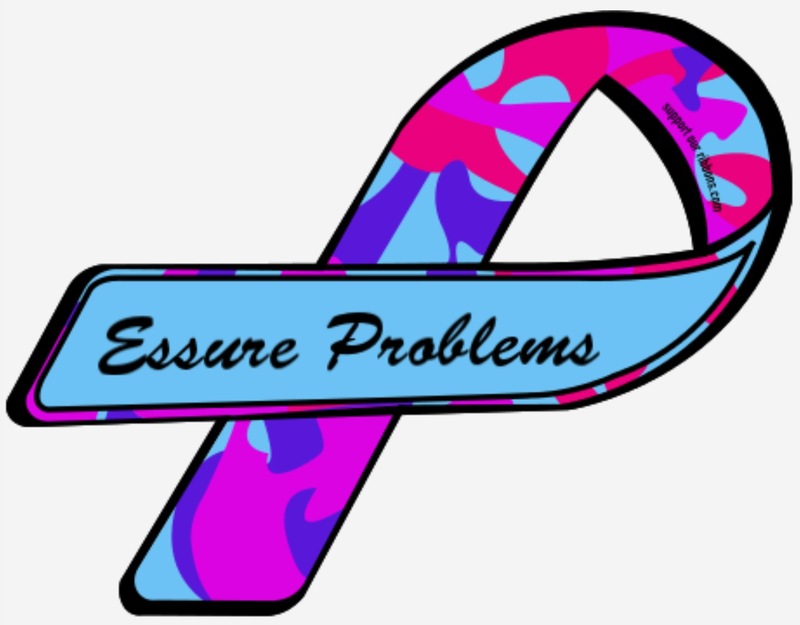 And in addition we are requiring the patient decision checklist, which is a several page document that is very detailed and requires the patient to initial after several specific statements about the type of adverse events that are associated with Essure. (That way when they are harmed they REALLY will have no recourse because you got them to sign even more of their rights away!) We believe that with these actions in requiring the boxed warning and the patient decision checklist will help ensure that women are appropriately informed about the risk. MS. RICE: To ask one quick follow up. MS. RICE: I know that the MAUDE database kind of caught a high activity with Essure and that led to some of this investigation but the women like the Essure Problems group and the Facebook group they said that they have been complaining for years and that this kind of highlights a lack of oversight by the FDA. I wonder what else the agency does besides the MAUDE database to kind of help capture real world questions not just about Essure but about other devices and products on the market? DR. MAISEL: So the uptake in adverse events in the MAUDE database related to Essure began in 2013 and that is when the agency began looking more in depth at the adverse events associated with the product and we’ve taken a number of actions since then. We do use a number of other tools and in fact at the advisory committee meeting we showed some of our social media and social networking information that we had obtained by monitoring the web. And it’s also one of the reasons why the agency has been advocating for a national medical device evaluation system. We have put out white papers and convened a group to propose the next step that will be necessary to stand up a national medical device evaluation system that would be a more active system to have these types of issues could be evaluated more quickly. MS. RODRIGUEZ: Thank you. This concludes today’s media briefing. A replay of this call will be available in about an hour and we encourage you to visit our website for the press release and other relevant information. Thank you for your participation and have a great day. OPERATOR: This does conclude today’s conference. Thank you again for participating. You may disconnect your line at this time. Now if you are an e-sister and had the pleasure of listening to this pathetic attempt at silencing us, you will join hands once again to fight even harder. The FDA docket opens tomorrow, 2/4/16, to leave your comments and suggestions for the “black box warning and patient checklist”. Give them everything you've got. Then, when you are finished with that, contact your Congressman or woman and tell them that the FDA has FAILED us, and we need Congress to step in and force the hand of the FDA. Revoke PMA, and take Essure off the market! Recently, the FDA came out with its "announcment" and decision about Essure. They are going to require a black box warning and a doctor patient checklist. They invite the public to comment and suggest the wording for these documents. In the menatime they have ordered Bayer, the manufacturer, to conduct new clinical studies. Those studies have to begin within 15 months, and in the MEANTIME they are leaving the device on the market! We are OUTRAGED to say the least. BUT at the moment, we need everyone to submit a comment or suggestion on the docket. Make sure you include your opionions on the FDA's "announcement". This is far from over, and now this is WAR! 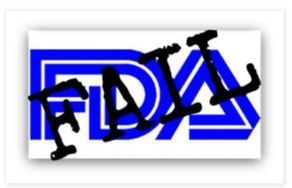 The FDA has FAILED us. They are continuing to put women's lives and health at risk while they wait for the maker of the device to provide them with some more fraudulant data. Enough is enough!